We already have “Chanel Beach” on our bucket list! The legendary Karl Lagerfeld threw another spectacular show, once again transforming the Grand Palais into a Chanel dream destination. Coco Chanel, the brand’s founder had a special bond with the beach. She would vacation in the seaside resort of Deauville in Normandy, so the beach was a huge inspiration for her collections. Coco Chanel is also known as the lady who made sunbathing fashionable. So, it’s no wonder why Karl Lagerfeld brought the beach to the SS 2019 Chanel show at PFW. Flip through these images to step inside Chanel’s breathtaking tropical paradise. Who Needs to Sunbath When You Have Chanel Umbrellas? 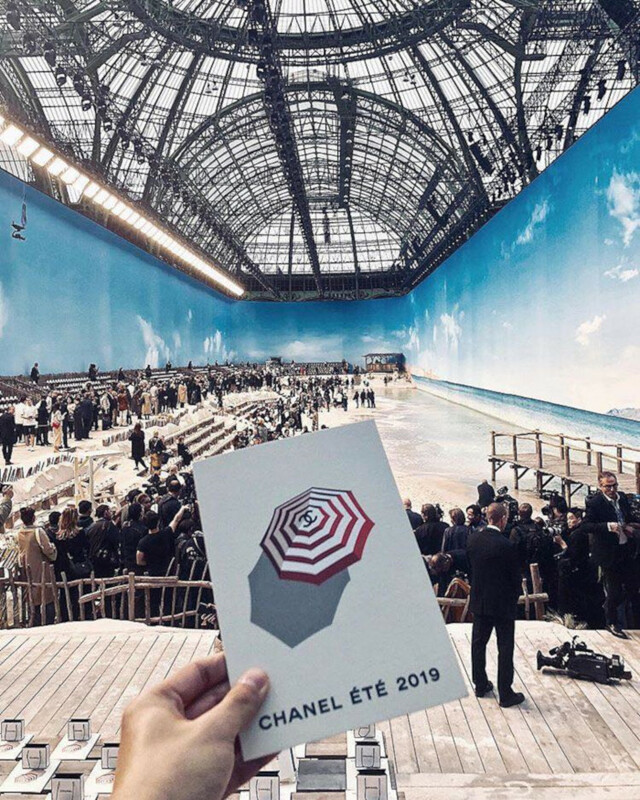 The Chanel family received chic invitations that featured red and white Chanel umbrellas. If only they were available for sale!